Microsoft has often be accused of ‘firing up the Xerox’ to copy Apple’s ‘innovations.’ Well, during the Apple presentation on Sept 9, it seems that they are the ones who ‘fired up the Xerox.’ Indeed, the new 12.9 inch iPad Pro they introduced has many Surface 3 Pro features, including the docking keyboard and the pen, which Apple calls ‘the Apple Pencil.’ Cute. Of course, this harkens back to the Steve Jobs comment “if you see a stylus, they blew it.” Of course, the Apple apologists will say that he didn’t really mean it that way. Uh huh, right. All kidding aside, the iPad Pro is a credible machine. At nearly 13 inches, the screen is big enough to adequately display two apps, side by side. Interestingly, there’s no drag and drop between applications. You copy/cut and paste. An odd thing to leave out. Maybe iOS 9.2. 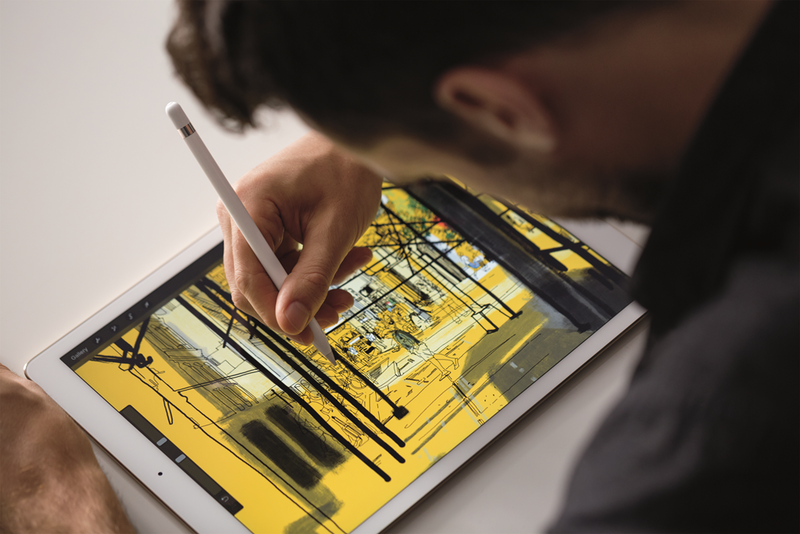 The iPad Pro’s stylus has a nice feature that lets the Pro know the angle and pressure the user is placing on the screen’s surface. 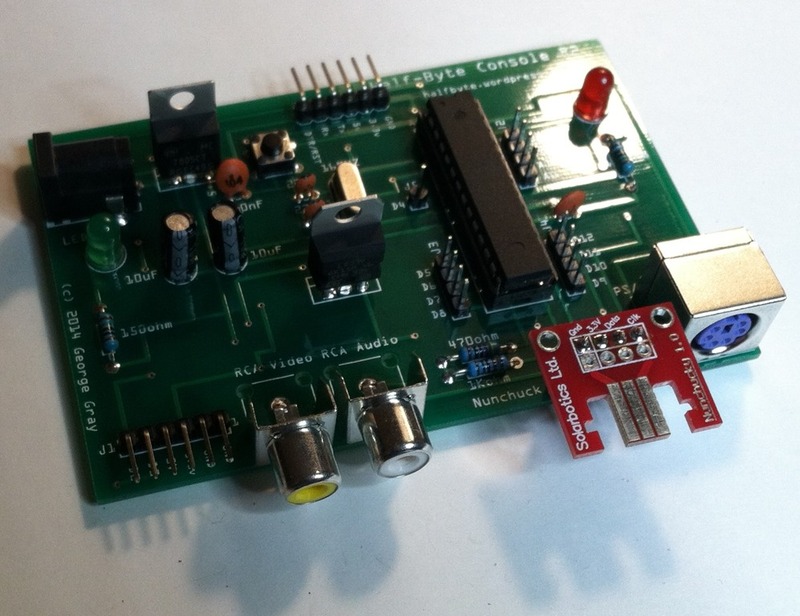 Sensors built into the device communicate this data back to the software, which, in turn, acts on it. Designer’s can now draw fine lines or really thick lines without having to lift the stylus. Microsoft was on stage demoing Office for iOS. Yep, it is a credible package that turns the iPad Pro into a real, honest to goodness productivity device. The Pro’s keyboard dock is very, very similar to the Surface 3 Pro’s keyboard. In fact, there were many, many similarities, so much so, that it seems that Apple was acknowledging Microsoft’s lead in this space. A refreshing turn of events. The iPad Pro also boasts four speakers. The sound, one would hope, is far better than the tinny monoaural sound that comes out of them now. 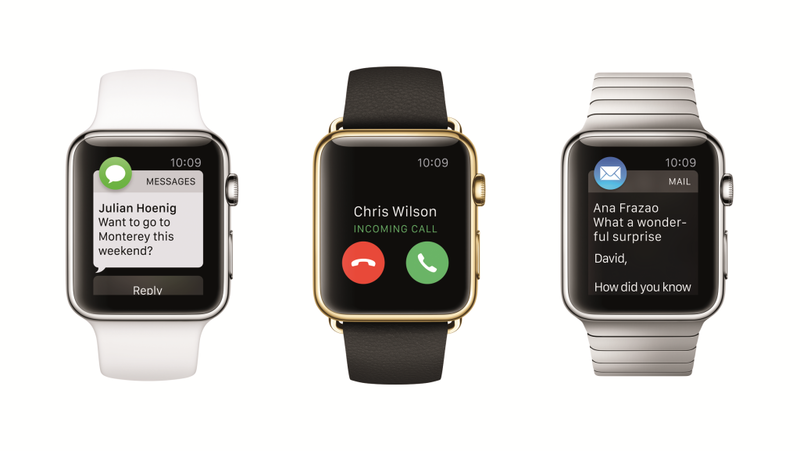 On the watch front, native apps are now available as is several new bands. Apple TV got a major upgrade with the addition of in device memory, a redesigned controller and an app store. Yes, it now runs apps and games with ‘stunning, console quality graphics.’ Someone quipped ‘yeah, if the console is a Wii.’ Hey, the Wii is still a cool little console. Leave it alone or I’ll give you a wedgie! Prices for the Apple TV are $149 and $199 for the 32gb and 64gb versions. No 4k yet. Prices for the iPad range from $799 to $1069. Of course, the iPhone 6s and 6s Plus were also on display. The killer feature: living images. This is a feature that Microsoft has had in its Lumia smart phones for quite sometime. Basically, the camera buffers about four seconds of video. The best frame, for the iPhone and in the ‘middle’ is taken where as the Lumia is usually the best of the last frames. Either way, the effect is impressive. Apple has taken it a step further and provides magic that also captures audio. The Lumia does not do that. There were other interesting things about the phones…faster processor, more internal RAM, 12mp camera, but the living images is, by far, the best new feature. 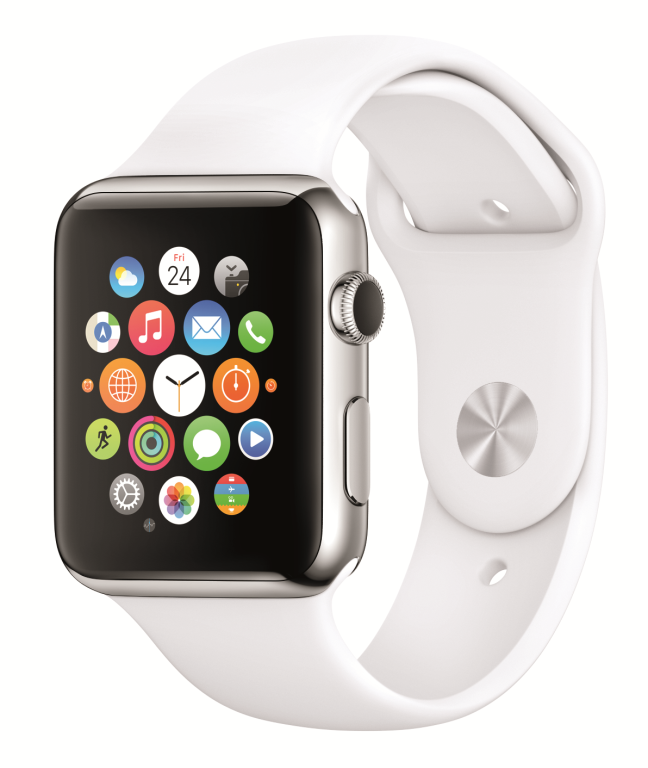 Head over to CNET for much more detail. Battle for the living room…Apple, Microsoft, Sony and Roku have sharpened their swords, so look out! The battle for the living room is, once again, heating up. The question, however, is this: does joe and jane consumer really want it? For the next battle, we have Microsoft’s XBOX One, Sony’s PS4, Roku, Apple TV and a host of other boxes from Western Digital, Cisco and others. In addition, there’s a slew of cheap (under $100) Android based gaming consoles that, because they are Android, will likely also offer other services in addition to the gaming aspect. Apple it readying a new release of iOS, iOS 7, that will also run on the Apple TV. iTunes Radio will be a feature of the update to Apple TV as will the new AirPlay. You will be able to stream your iPhones screen and audio to your HD TV via Apple TV. A sly way to give Apple TV yet even more reason to live. Roku has introduced new versions of its hockey puck player and added gaming in the mix. Microsoft, of course, has the XBOX One. The One has a ton of entertainment features and on line video features. With the XBOX Video and Music store readily available, plus agreements from Comcast, Warner and Verizon, the XBOX One can replace your cable box. The Blu-Ray drive will allow the XBOX to play all of those discs in addition to DVD. At $499, it is the most expensive option out there. Sony, of course, has its PS4. The PS4 is very much like the XBOX One in its feature list, but does not have quite as much to offer in the online arena and there are no deals with cable companies to offer cable programming via the console. What they do have, however, are enough popular services, like HULU and Netflix to keep anyone happy. 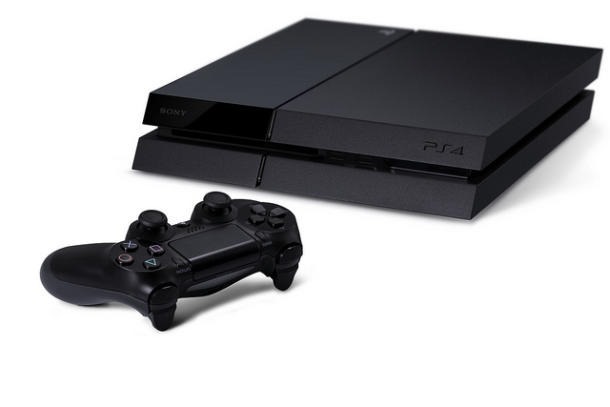 Plus, the PS4 is $399, less than the XBOX One. Perhaps the slyest of the sly are those Android based game consoles. I use the term console loosely as some of them look like over sized USB sticks and plug into the TV’s HDMI port. These things will sport one of the more recent flavors of Android, cost under a hundred bucks and will work with true game controllers. However, since they are Android, that means they will be offered with minimal entertainment choices (perhaps Netflix and/or Hulu) or will be easily hacked to do so. I suspect these little boxes or sticks will gain a lot of traction because of the price and the fact that Android is the most popular phone platform. And the games…the games are familiar and many, if not most, are free to play. Who wouldn’t want to play Candy Crush Saga or Plants V Zombies on their HDTV? This will all boil down, however, to one thing: adding one more box to the TV. Microsoft is betting that its offering will replace two or more other boxes. Same for Sony. Apple just wants its ‘hobby’ to mature. And the others? Those could be the ones that actually make it. Roku is very popular, but still not a household word, yet I think it stands a better chance of succeeding where Microsoft, Sony and even Apple will not. My five year old step son figured out how to use Roku in a matter of minutes. Most of the similar products are just as easy to use. They have to be. We’ll see how this battle plays out. We are in the early stages, so…take cover and keep your eyes open. The battle lines have been drawn. It’s been a big few days in the world of tech and for geeks like us. Microsoft showed off more of the follow up to both Windows 8 and the XBOX 360, Apple unveiled iOS 7 and Sony shows off its me-too prowess with an unveiling of the PS4. Me too seems to be the prevailing train of thought for all three companies: elements of each other’s tech and that of other companies have made it into each of these products. There’s even a nostalgic flare to some of them. I have already talked about some of the changes to Windows 8, so I’ll talk about. No, I will talk about the XBOX One, iOS 7 and a little PS4. First, however, lets get iOS out of the way. First, from what I’ve seen, it looks fantastic. They have taken the better parts of the current flavor of iOS, mixed in some Windows Phone/Windows 8 and even a bit of webOS. The operating system appears to be a little more customizable, though not much more. It has a flatter, cleaner appearance and, best of all, it is backward compatible all the way back to the iPhone 4, iPad 2 and iPod Touch gen 4. 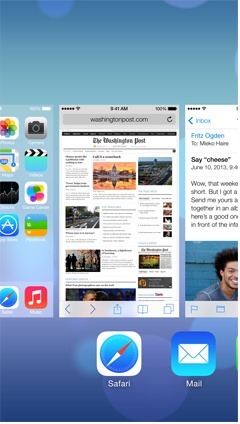 One of the more frustrating aspects of iOS is its poor multitasking. Well, it looks like that has finally been rectified by borrowing a page from the webOS playbook. Multitasking is handled more like the ‘cards’ feature of Palm’s webOS. You get a horizontal scrolling view of the open apps and you can then flick through them from side to side and flick up to dismiss an app. This is pretty much how webOS handled it. One of the more vaunted services that Apple fankids have wanted (though they poo-poo the notion from others) is some kind of Zune like subscription service. 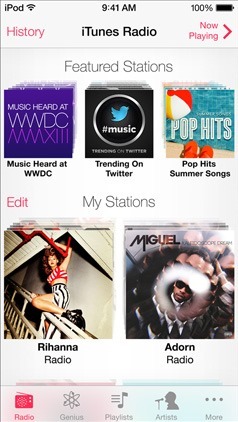 Well, Apple unveiled its iTunes Radio, an ad supported free Pandora like service. It will be available on all iOS 7 devices. An ad free version is available to iTunes Match customers. There are other interesting aspects of iOS 7, like some of the photography related features (filters, better panoramics and more. Hit up one of the links above to find out more. I have to admit, I am actually looking forward to upgrading my iPhone 4 to this version of iOS. Apple also showed a bit of its ridiculously named OS X Mavericks. Not much to say, other than the AirPlay capability of adding a large screen TV as a second or THIRD display via Apple TV looks pretty nice. APPLE.COM has more on the new OS and the complete keynote by Tim Cook and company. Now, onto the video games. E3 started and, with it, the two big keynotes from Microsoft and Sony. I’m going to be brief with both, especially Sony, but want to hit what I think are the highlights. First, lets just get Sony out of the way. They ‘revealed’ PS4 waaaaay back in FEBRUARY. However, they really didn’t say too terribly much and did not even show off the hardware. They talked games and showed the controller. This time, they were more revealing. The console was on display and…it’s very similar to the XBOX ONE. Yep. SO, it seems both companies have taken a page from the 1970’s consumer electronics design playbook (which lived well into the 1980’s) and came up with retro designs, sans the faux wood. Hey, that might make the PS 4 look a little better. Sony says there will be no restrictions on used games and you will not be required to ‘phone home’ like you will on XBOX at least once a day to play your games…the games that you bought either on disk or download. 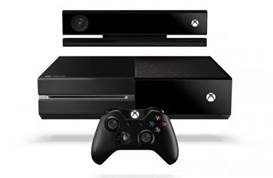 Microsoft unveiled the XBOX One several weeks prior to E3. The hardware looks great, the entertainment features look great, it is based on Windows and is, essentially, a beast Windows computer. Don’t let that fool you, this thing does not work like your standard desktop. Boasting three operating systems (XBOX OS for the games, Windows 8 kernel for the entertainment and apps and a controller to keep the two working together. It wants to be your internet appliance, your video game console and your entertainment and set top cable box. A bit ambitious, yes. The console requires that it be online at least once a day (in and of itself, not much of an issue since you will likely have it connected to your home network anyway) and the there are a ton of restrictions on games once you acquire them: can only be given away once, publishers get to decide if the games can be resold, etc. Rather draconian. And, then there is the price: equally monstrous at $499. And, with these two downsides (price, game restrictions) I think it likely that Microsoft just handy Sony the ‘win’ for the next gen consoles. As much as it may pain me to say it, I’m thinking I might be inclined to get a PS 4 long before an XBOX ONE…if at all. A few months ago, we decided to cut the cord and go cable free. We thought that with the variety of over the air stations and the digital sub-channels plus our Netflix, Apple TV and Hulu Plus, we would be set. Well, it didn’t quite work out that way. Sooo…. We are watching cable tv. Again. For awhile, we did fine. But, as time went on, we found our alternatives to be lacking. Especially Hulu Plus. We watch our programming either on the iPad or that little device known as TELEVISION. We have a Roku and an Apple TV, plus the two Wii’s (possibly the greatest gaming console ever,) two Xbox 360’s and a very dusty, thrown in the back Sony Playstation 3, all of which give us online entertainment. Hulu is available on all of them. Problem is, even with Hulu Plus, you cannot watch everything they offer. Much of the programming is restricted to COMPUTER viewing only. Now, no television in my house has a true Windows or Mac PC connected to it. Those days are gone. And we are not going to huddle around a 20 inch screen just to watch something on Hulu that I WAS PAYING FOR! Oh, the bloody adverts. Why the hell am I paying to watch adverts? Hulu Plus is no bargain. For the same amount, I can get Netflix. At least they offer WHOLE seasons worth of tv series and a few recent vintage films. And, therein lies my beef with them. Netflix, where are the freaking new movies? If I want NEW films, I must pay extra to have a DVD mailed to my house. What?! Ya gotta be joking! No, sadly, they aren’t. So…Netflix, you are nearly as bad as Hulu. Which brings me to the Roku. This is a nifty little box that has lots going for it. Problem is, though, many of the channels I would want to watch are EXTRA. Yup. Ya gotta fork over more bucks. There are a lot of ‘free’ channels, but ‘free’ as in you didn’t need to buy them from the Roku ‘store’. And the ones that truly are free, well, they are a hit or miss thing. Channels like CNet and TWiT are there, which is fantastic, but others show public domain movies…many of which I can or have downloaded-legally-from places like Archive.org. So, if I add up the channels I MIGHT pay for, plus Hulu and Netflix (and the cost of just Internet access through Comcast) I have pretty much equaled the cost of Internet access plus the tier of cable that I had. I would not save anything plus I would be paying for commercials too. So, what would be the benefit? None. So, Comcast, you win. We get the crap we want, plus a ton we don’t. Oh yeah, Hulu will start requiring a cable tv subscription for much of its programming, so they definitely will not be an alternative for anyone wanting to cut the cord. No word on when this new requirement will start, but I can imagine it will be sooner rather than later. I also see it’s subscriber base dwindling down. So, the great experiment is dead. All I have left to say is…Food Network, I sure missed you!